There’s an undeniable delight in sourcing and researching a hitherto unknown figure. This guy is a real mystery. Your suppositions, train of thought and application of logic are credible, but as to whether the truth will ever be revealed…I guess we just have to wait and see. He looks great painted too! Thanks axiom! I do enjoy doing the detective work. Finding unexplored corners of old Warhammer is a treat as there are so few of them left. 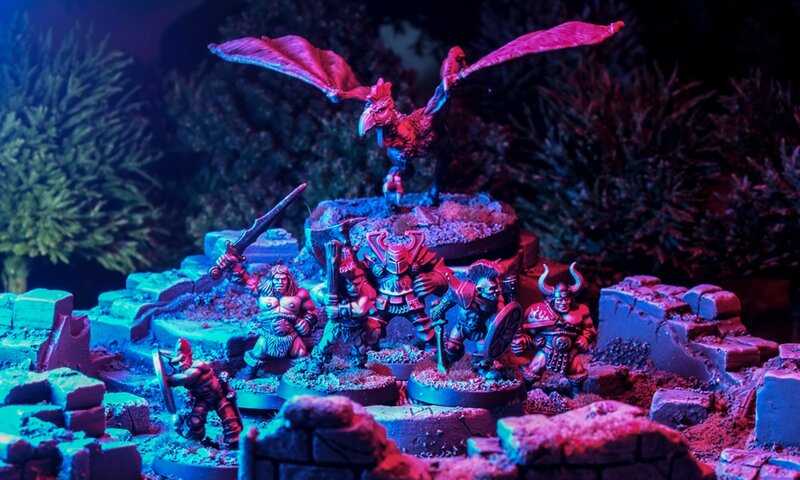 Superb paintjob and lovely the backstory on that miniature. Keep it up! Cheers Dennis! 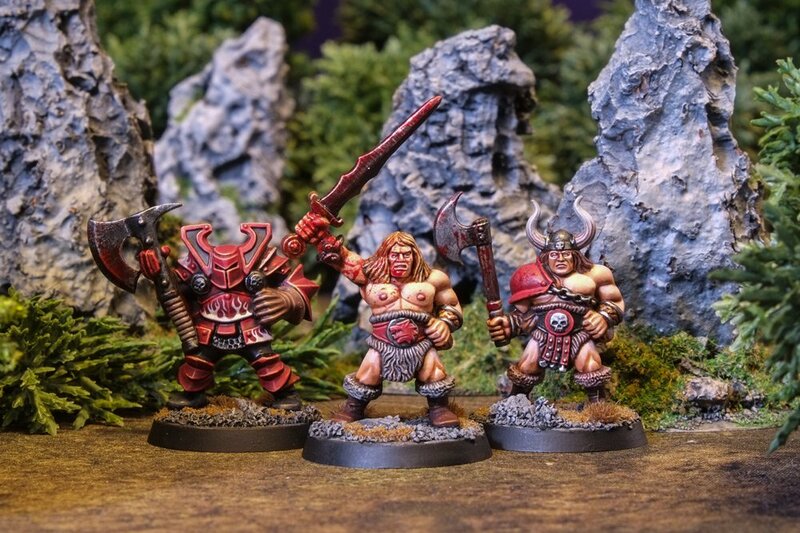 Though, rationally, they’re the same as proper releases, there’s always something magical about rare miniatures that makes them extra exciting to paint. Top model … Lucky man. Cheres Nico! Several BOYLs back, before the release of the Timewarped Wizards I won a very rare casting of an unreleased Citadel wizard. I stalled on the paintjob, and then BANG you beat me to the punch with your rendition and steal the thunder. 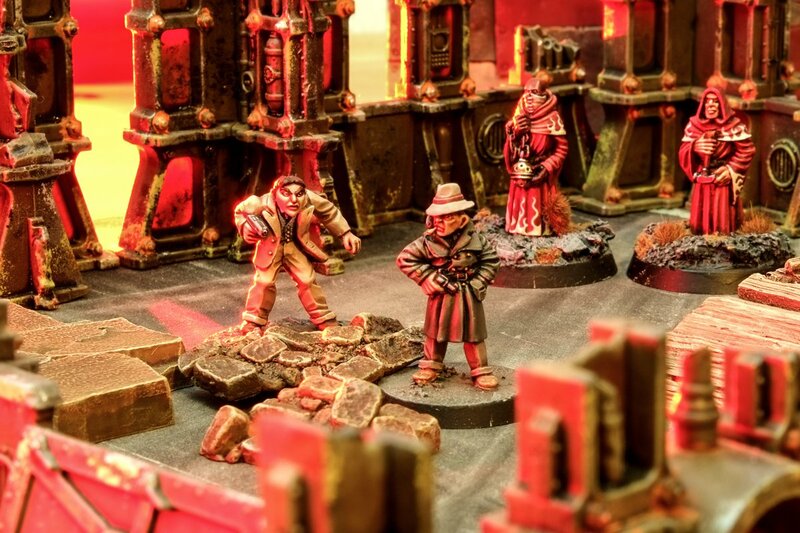 It’s a great mini with a superb paintjob! But you don’t have the only one in existence… I have one too and i hope mine gets a paintjob as lovely as yours one day! Thanks Warbie! I kept panicking that it would turn out to be a very basic mainstream release, and I’d end up the community laughing. Phew! 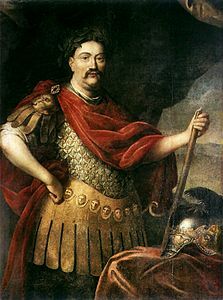 He looks much like portraits of Jan III Sobieski many of which were stylized for Roman general. I’m a lot more convinced by this suggestion, now. Person in deliberately anachronistic armour throws a right spanner in the works when it comes to pointing out infliences. And Warhammer’s done that before with their Lorenzo Lupo being sculpted and written up as a Tilean wearing his family heirlooms. I think this might be a Morrison sculpture, and not a Perry. At least the rider. The jury’s still out on that one! It’s funny how something as numinous as a sculpting style is recognisable at times. Beautifully painted. I think that painting him as Genseric works very well, thanks for the potted history. It got me wondering if perhaps he was a Kislev prototype? Cheers Sean! You’re not the first person to mention Kislev. The more I see how Warhammer races shift around eras and geographies in the early days the more I find it a convincing argument.